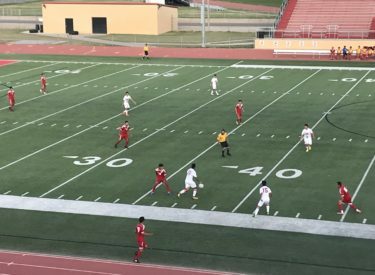 Liberal’s soccer team recognized their four varsity seniors Thursday night and then played defending 6A champ Dodge City. The Redskins were competitive but lost to the Red Demons 3-0 at the Gary Cornelsen Sports Complex. The Red Demons have now won the WAC for a fourth consecutive season. Liberal finishes the regular season 4-12 and 1-7 in the WAC and begins the playoff next week.